73% of Fiorentina’s matches had under 2.5 goals in Serie A.
Fiorentina have scored the opening goal in 73% of their matches in Serie A. 67% of Lille’s matches had over 2.5 goals scored in Ligue 1. Strasbourg have scored in each of their last 9 matches in Ligue 1. Lille have won their last 6 home matches in Ligue 1. Strasbourg have scored 45% of their goals after the 75th minute in Ligue 1. 69% of Clermont’s matches had under 2.5 goals in Ligue 2. Orleans have won their last 3 away matches in Ligue 2. Auxerre have failed to score in 43% of their home matches in Ligue 2. Clermont have drawn their last 3 home matches in Ligue 2. Metz have won 71% of their away matches in Ligue 2. Orleans have scored in 100% of their away matches in Ligue 2. 69% of Auxerre’s matches had under 2.5 goals in Ligue 2. Orleans have scored in each of their last 6 away matches in Ligue 2. Metz have scored in 86% of their away matches in Ligue 2. Orleans did not concede any goal in their last 3 away matches in Ligue 2. Auxerre have lost 57% of their home matches in Ligue 2. 70% of Wolfsburg’s matches had over 2.5 goals scored in Bundesliga. 71% of Wolfsburg’s goals have been scored in the second half in Bundesliga. 70% of Hannover 96’s matches had over 2.5 goals scored in Bundesliga. 35% of Paderborn’s conceded goals occurred after the 75th minute in II Bundesliga. 72% of Holstein Kiel’s goals have been scored in the second half in II Bundesliga. 40% of Sandhausen’s conceded goals occurred after the 75th minute in II Bundesliga. Holstein Kiel have scored 39% of their goals after the 75th minute in II Bundesliga. Sandhausen have scored 31% of their goals after the 75th minute in II Bundesliga. MSV Duisburg have scored 33% of their goals after the 75th minute in II Bundesliga. 35% of MSV Duisburg’s conceded goals occurred after the 75th minute in II Bundesliga. Willem II have failed to win in their last 8 matches in Eredivisie. PEC Zwolle were losing at halftime in 64% of their matches in Eredivisie. Willem II conceded at least 1 goal in each of their last 8 matches in Eredivisie. 76% of Willem II’s conceded goals were conceded away in Eredivisie. Willem II have conceded the opening goal in 82% of their matches in Eredivisie. 72% of PEC Zwolle’s conceded goals occured in the first half in Eredivisie. Willem II have conceded 2 goals or more in each of their last 5 away matches in Eredivisie. Sheffield Wed have lost their last 4 matches in Championship. 32% of Sheffield Utd’s conceded goals occurred after the 75th minute in Championship. Sheffield Wed conceded at least 1 goal in each of their last 16 matches in Championship. 81% of Sheffield Wed’s matches had over 2.5 goals scored in Championship. Sheffield Utd conceded at least 1 goal in 75% of their home matches in Championship. Sheffield Wed have scored in 75% of their away matches in Championship. Sheffield Wed have conceded 2 goals or more in each of their last 4 matches in Championship. Brondby IF conceded at least 1 goal in each of their last 11 matches in Superligaen. Brondby IF conceded at least 1 goal in 88% of their home matches in Superligaen. 67% of Brondby IF’s points have been earned away in Superligaen. Brondby IF have failed to win in their last 6 home matches in Superligaen. Brondby IF conceded at least 1 goal in each of their last 6 home matches in Superligaen. AGF Aarhus have conceded 2 goals or more in each of their last 4 matches in Superligaen. 80% of Perugia’s conceded goals were conceded away in Serie B.
Crotone conceded at least 1 goal in each of their last 8 matches in Serie B. 71% of Perugia’s goals have been scored in the second half in Serie B. 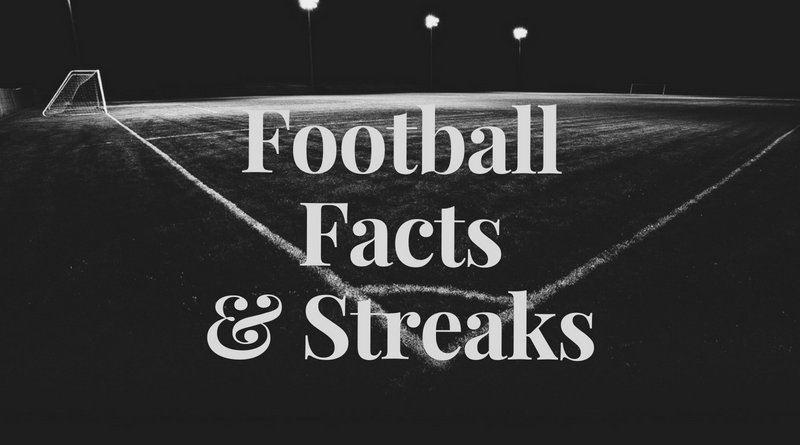 77% of Crotone’s goals have been scored in the second half in Serie B.
Perugia have conceded 2 goals or more in each of their last 4 matches in Serie B.
Crotone have scored 38% of their goals after the 75th minute in Serie B.